In our context, an A/B test is an experiment that tests two different variants of a webpage against each other to determine which one will deliver better results (more form-fill submissions, more phone calls, longer session time, etc.) The two different versions of the page will be randomly served to users on the website to determine the winner based on statistically accurate data. How Can I Use A/B Testing On Your Website? 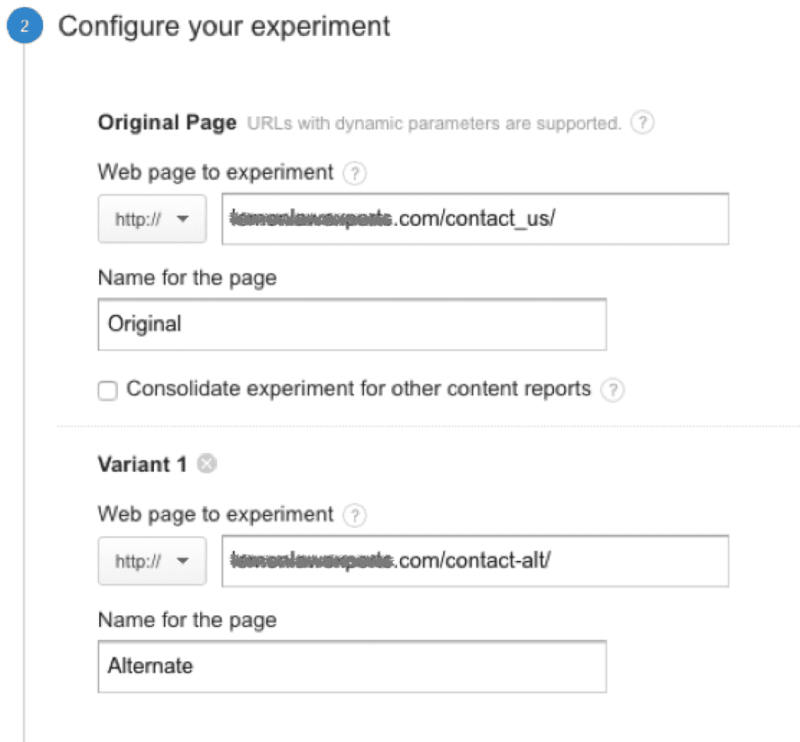 One of the best, most impactful ways to use A/B testing is on your website’s contact page. Currently, we’re running A/B tests across all of our client’s contact pages to see which page format is delivering the highest conversion rate. We’re testing the placement of the contact form — middle of the content versus before all other contact info and content. There is a multitude of companies that offer A/B testing software (one of Mockingbird’s preferred: Optimizely), but in this post, we’re going to explain how to use Google Analytics “Experiments” feature to test your contact page. Important note: the following process is for any website that is set up on WordPress and has Google Analytics installed on the site. Pro tip: I also like to make the URL the same as the page you’re testing but with “alt” at the end (ie: example.com/contact-alt/) but feel free to make the URL whatever you please. Step 7: Validate your experiment code and launch experiment. Step 8: Sit back and wait for the results to roll in. 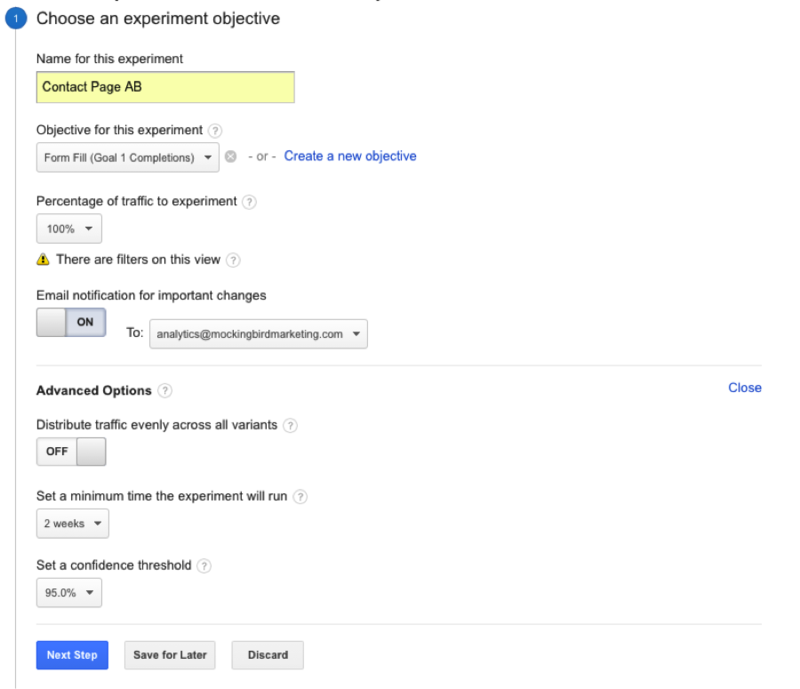 For more information on Google Analytics Experiments, view this help article: https://support.google.com/analytics/answer/1745216?hl=en.